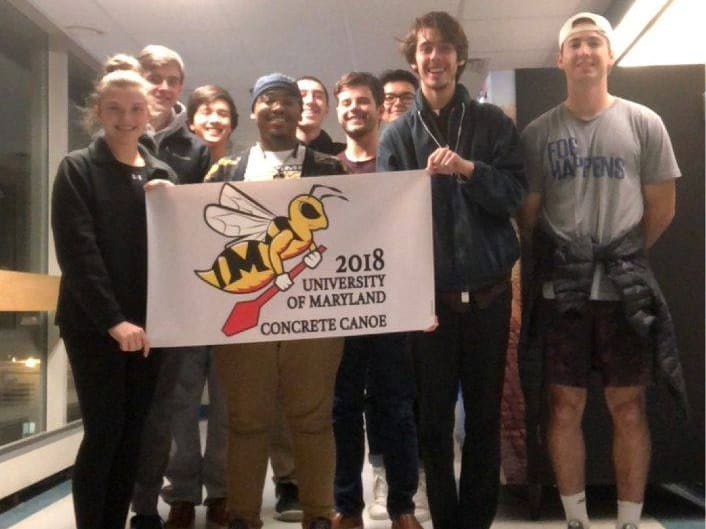 The UMD Concrete Canoe team competes in the annual American Society of Civil Engineers (ASCE) Concrete Canoe competition. 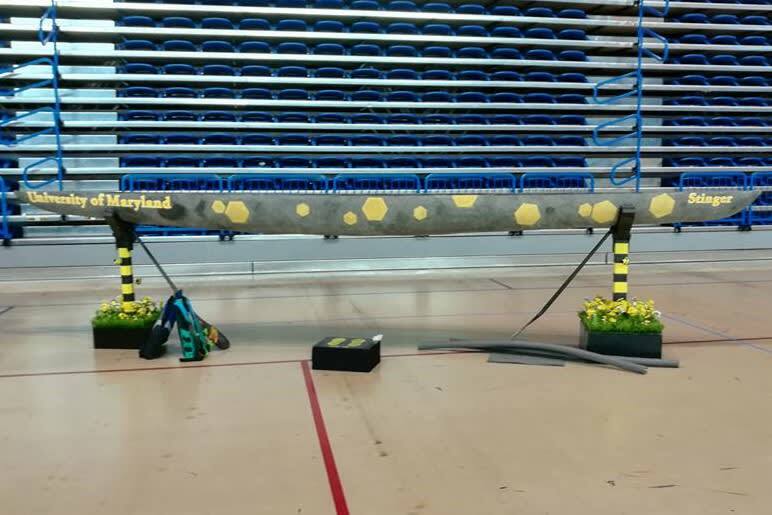 The competition challenges students to design, build, and race a canoe made entirely from concrete. This year’s team is working hard to design better, build stronger, and race faster than it ever has before. We compete against about six teams in the regional competition, and only the winning team from our region advances to the national competition. We are learning from previous teams’ experiences and building upon their successes in order to return to nationals. We are trying a few new things this year to improve our efficiency and better protect the canoe from the stresses in transportation. For the past two years, the canoe has broken in transportation due to inadequate support at the ends. This year, we are building an improved transportation system, which will make it easier and safer to move the canoe to and from competition and practices. 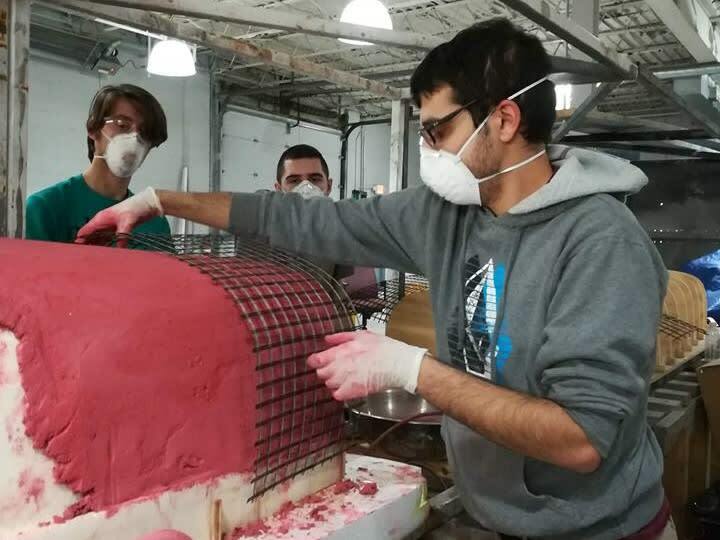 In addition to redesigning the practice mold, our mix team is also developing a strong and lightweight concrete mix. 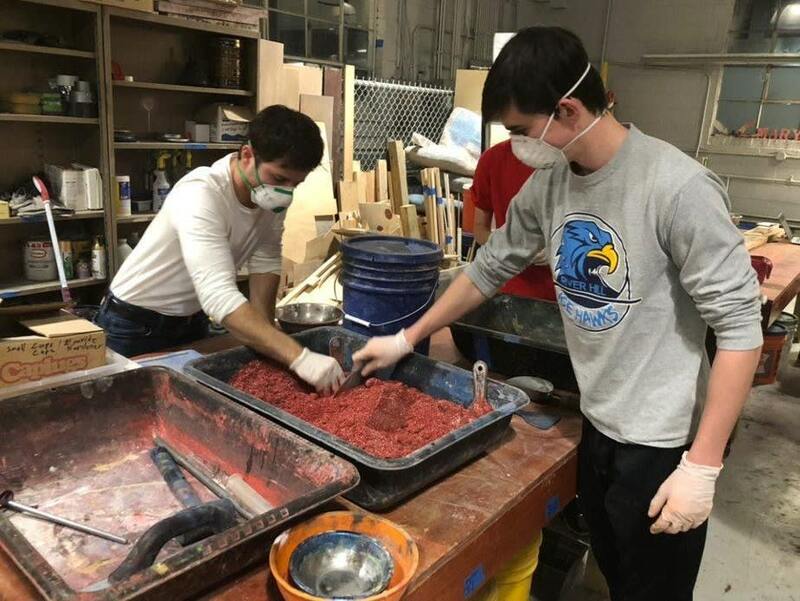 With rules set by ASCE limiting the amount of expanded glass and styrofoam we can use in our concrete, we had to adjust our mix to incorporate materials like pumice, which are heavier. We also held a practice pour day so that our team had the experience and preparation to build a competitive final canoe. As we face these challenges, we need help to get the materials used to build the canoe. The money raised from this campaign will go towards purchasing personal protective equipment, concrete “ingredients,” and the canoe molds. Additional funds will allow us to bring our hardworking students to the regional conference, which is an incredible educational opportunity. We have a strong, passionate team of students from diverse backgrounds with a variety of skills, and we are working hard to build the best canoe. 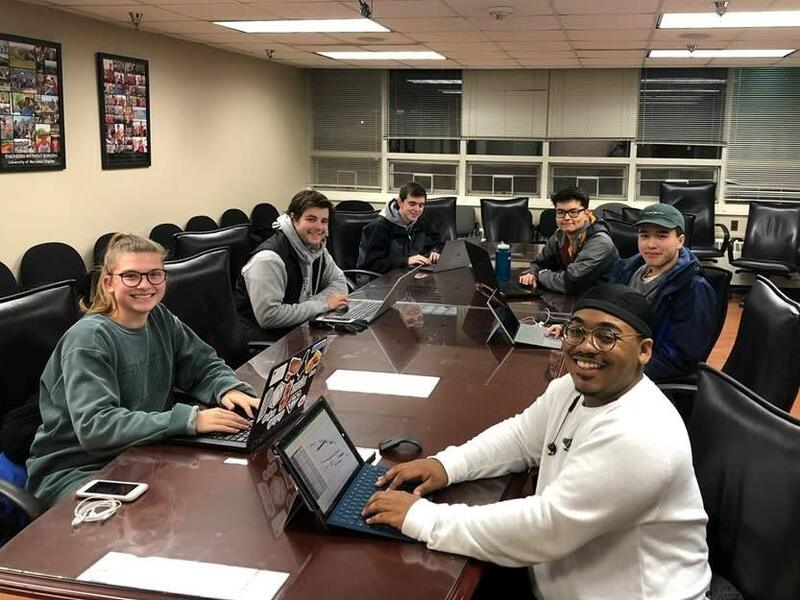 Our executive board consists of 12 students who design and construct the hull, concrete, displays, and aesthetics, and keep track of our activities and members. We have a race team that is building up its physical and mental strength and endurance throughout the year, to hopefully win the races at competition! We also have many fantastic volunteers who have been helping out with our concrete mix development and testing, construction, and theme development! Follow us on Facebook and Twitter to get updates on our project, or email us if you have any questions! Your donation will help us purchase gloves and masks to keep our volunteers safe! You will receive a thank you email with an invitation to our spring picnic. Your donation will help us purchase one bag of aggregates, which make up our canoe! You will receive a team photo card and a thank you email with an invitation to spring picnic. Your donation will help us to purchase three bags of pumice! You will receive a small molded concrete turtle, team photo card, and a thank you email with an invitation to our spring picnic. Your donation will help us to purchase display materials and colored concrete dye! You will receive a shout-out on our social media, a team t-shirt, a small molded concrete turtle, a team photo card, and a thank you email with an invitation to our spring picnic. Your donation will help to send one student to the competition, a great experience! You will receive a shout-out on our social media, a team t-shirt with your company name on it, a small molded concrete turtle, team photo card, and a thank you email with an invitation to our spring picnic. 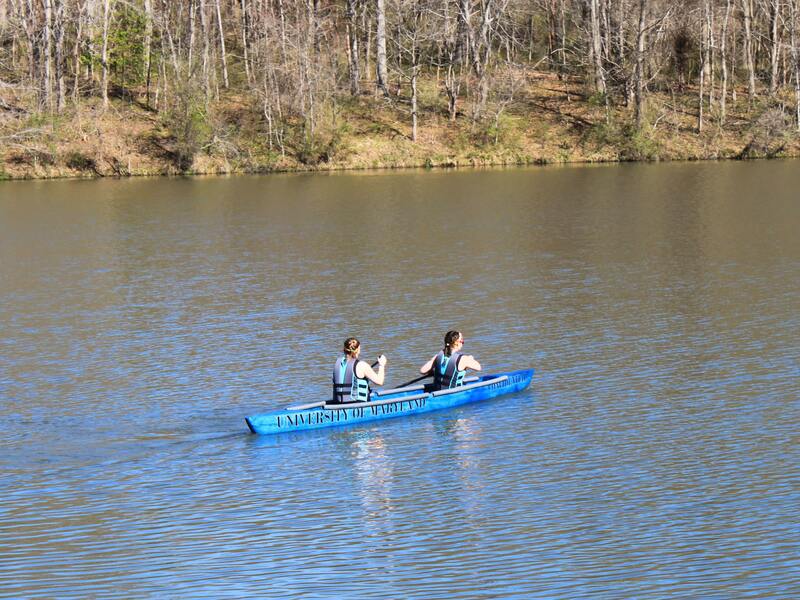 Your donation will help us build the reusable practice canoe mold! You will receive a donor plaque with a team photo, a shout-out on our social media, a team t-shirt with your company name on it, a small molded concrete turtle, and a thank you email with an invitation to our spring picnic. Your donation will help us purchase the final canoe mold! You will get your sponsor name on the team trailer, a donor plaque with team photo, a shout-out on our social media, a team t-shirt with your company name on it, a small molded concrete turtle, and a thank you email with an invitation to our spring picnic.